The New York Yankees are, without question, the most popular team in the United States, and one of the most heralded organizations in the entire world. With an almost absurdly rich tradition and history – and 27 championships under their belt – the Yankees remain the main heavyweight of the baseball world. And when it comes to showing off how great your favorite team is, we have you covered. 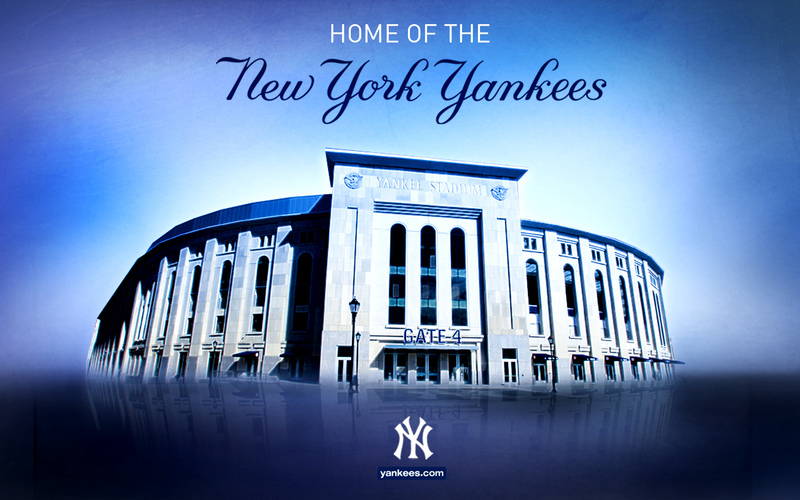 From browser themes and wallpapers to mobile apps, screensavers and more, New York Yankees fans have everything at their disposal when it comes to following the Bronx Bombers. We’ve collected a few of our favorite Yankees downloads below, from browser themes to the At Bat 13 mobile app that lets you keep tabs on your favorite team wherever you go. When you want your Yankees browser theme to give you the latest news, scores, schedule, highlights and more, then this is the one for you. You’ll even get browser theme-exclusive contests to further help you cheer on the Bronx Bombers. This theme is available for almost all browser users including Chrome, Firefox, Internet Explorer and Safari users. There isn’t anything particularly fancy about this Yankees browser theme, but that’s the glory of this logo. It doesn’t need to be flashy or overstated – it maintains its class while the product on the field does all the talking. Any Yankees fan is quick to tell the world that the team has won 27 World Series titles, which is the most championships of any team in all professional sports. This Yankees theme features the last five World Series titles, including the most recent in 2009. Like the Yankees’ pinstripes, the “NY” logo is timeless. Each time a player dons the logo on a cap or his jersey, he is representing a long tradition of winning, which certainly carries its own set of pressures. It’s pretty amazing to think about some of the names who have worn this logo on the way to Hall of Fame careers. You don’t have to settle for just customizing your browser; you can deck out your Facebook page with Yankees pride as well. You already (probably) spend most of your time on Facebook, so why not make it a hub for your fandom as well? With this Yankees Facebook theme, you can even choose to have features like a dislike button, photo zoom, custom cursors and more. As soon as you learn how to jailbreak your iPhone or iPad, you can turn your entire phone or tablet into a shrine to your favorite team. There are, of course, New York Yankees themes available for Android devices as well. Mariano Rivera is retiring after this year, but should be? At 43 years of age, Rivera is as good as ever, mowing down opponents with the same kind of precise control. There are many Yankees wallpapers to choose from, but it’s hard to ignore one featuring this living legend. Speaking of still-playing legends, Derek Jeter is well on his way to the Hall of Fame. He, like Rivera, is from another era of Yankees greats, playing out the end of his career with a new crop of hopeful Bronx heroes. The 1927 Yankees featured one of the most feared lineups of all time, rightfully earning the nickname “Murderers’ Row.” With both Babe Ruth and Lou Gehrig hitting in the lineup, surrounded by other great hitters, it’s no wonder the Yankees were able to win 110 games and the World Series with ease. The original Yankee Stadium was, of course, a cathedral, the “House That Ruth Built.” As expected, the new incarnation of Yankee Stadium is larger-than-life, but can it maintain the magic and allure of its predecessor? With smartphones now the norm, it seems only natural that you could eventually carry the world of baseball in the palm of your hands. With the MLB At Bat 13 mobile app (available for the iPhone, iPod Touch, Android phones, Blackberry Z10 and a variety of tablets), you can watch highlights, get home and away radio broadcasts, check out breaking news, use Gameday features, access a classic games library, a video library archive and so much more. For a small fee, you get everything you could want in order to follow your beloved New York Yankees.